Want to learn more about MDGen for SystemC? SysML in Rhapsody is untimed and sequential, so how does MDGen for SystemC generate cycle accurate, concurrent descriptions in SystemC? 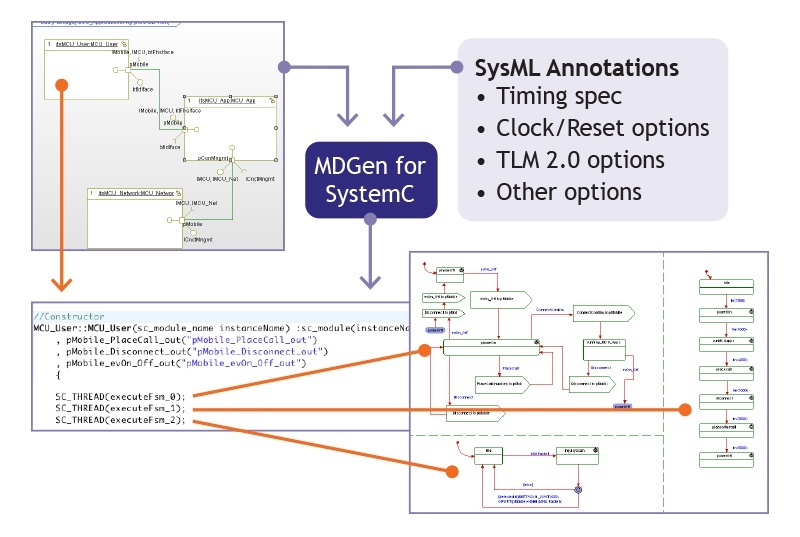 MDGen for SystemC bridges the execution semantics by its sophisticated synthesis engine. MDGen for SystemC’s technology coordinates the parallel execution and guarantees preservation of transaction order, something that a naïve translation cannot. 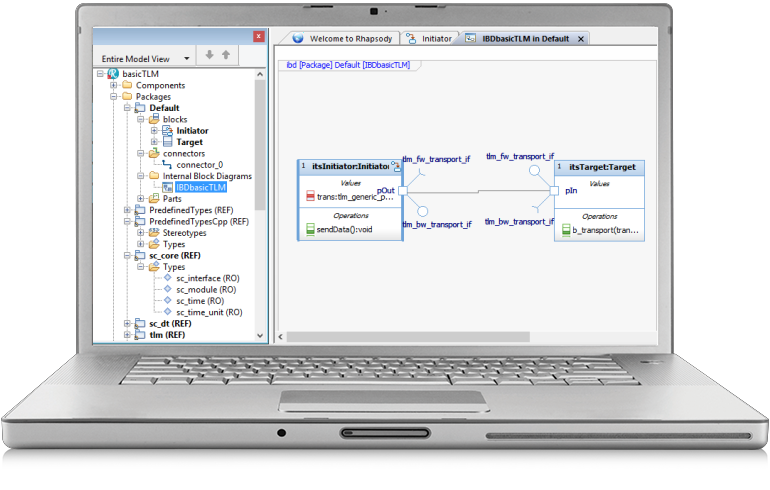 SysML structure is mapped to SystemC modules, state machine behavior is mapped to SystemC component structures, and AND-state concurrency is mapped to multiple SystemC processes within a block. Also, timing and hardware specific artifacts such as lock/reset lines are generated automatically. In the system workflow at left, requirements are captured in DOORS, then imported into Rhapsody. 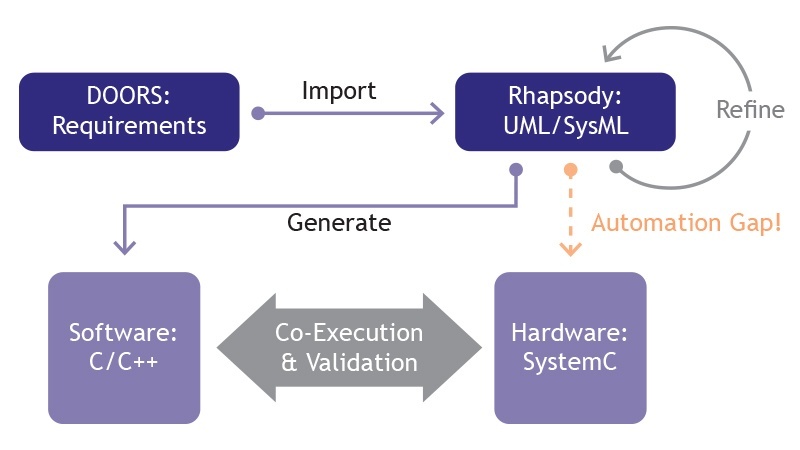 Rhapsody can automatically generate software, but not hardware descriptions. The hardware models are needed to work with tools for architectural analysis/optimization, hardware implementation and software simulation and validation. MDGen for SystemC addresses this automation gap in the flow. Want to Learn More About Rhapsody?